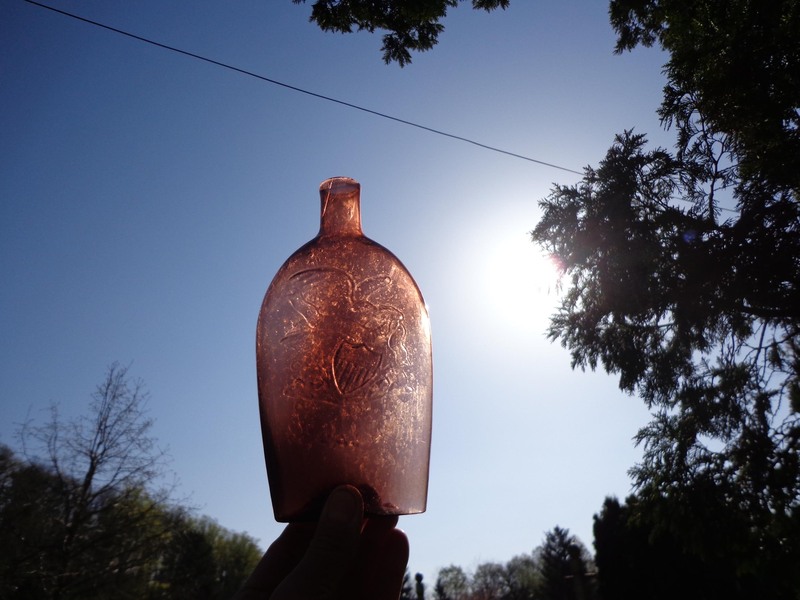 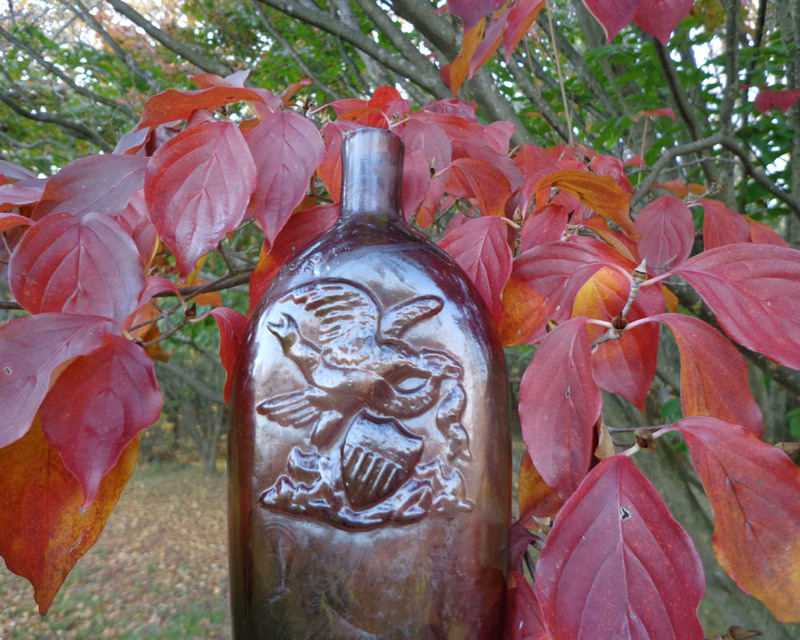 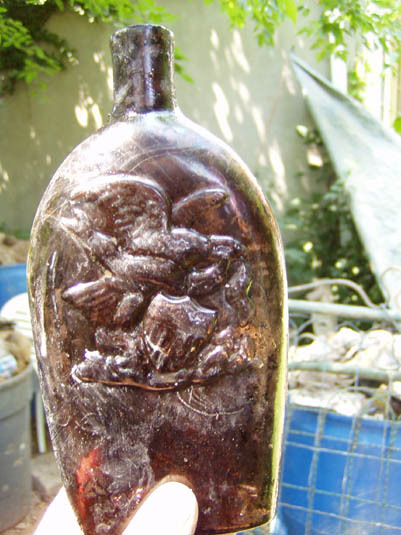 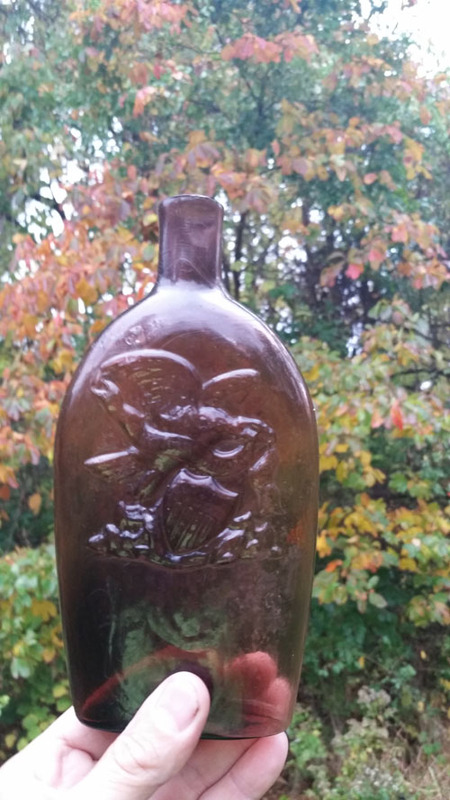 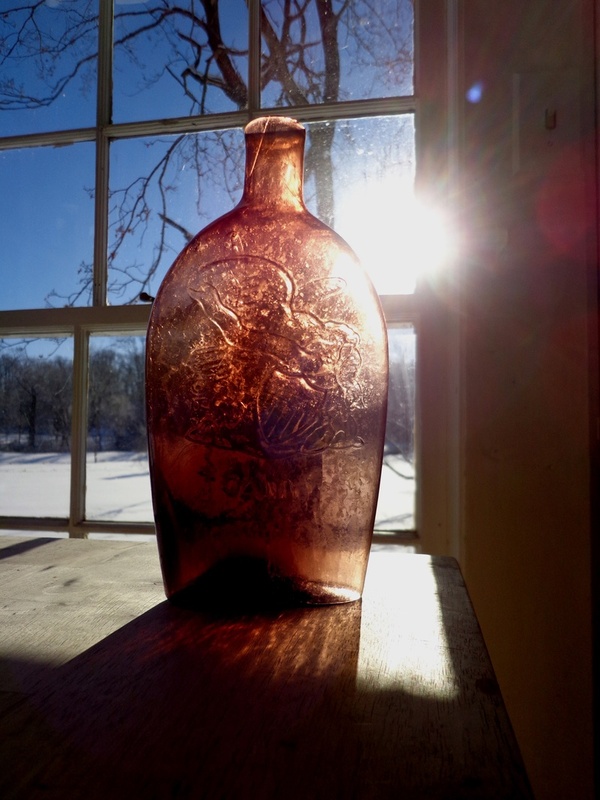 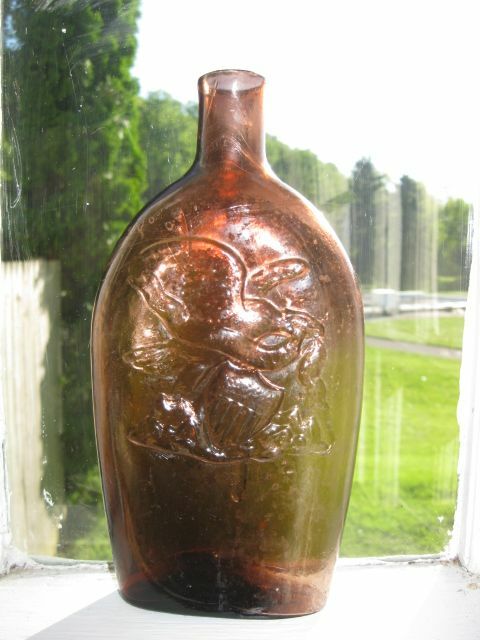 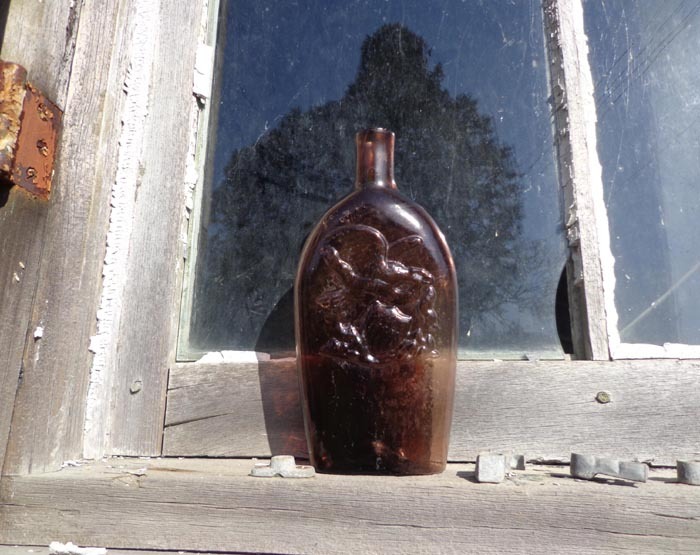 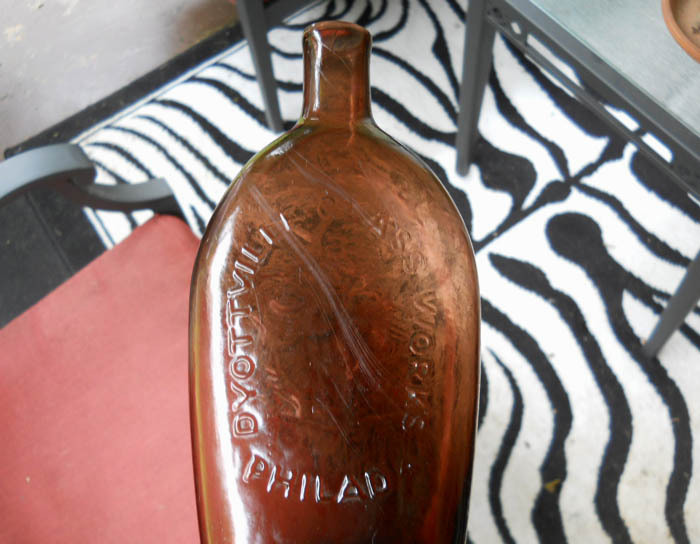 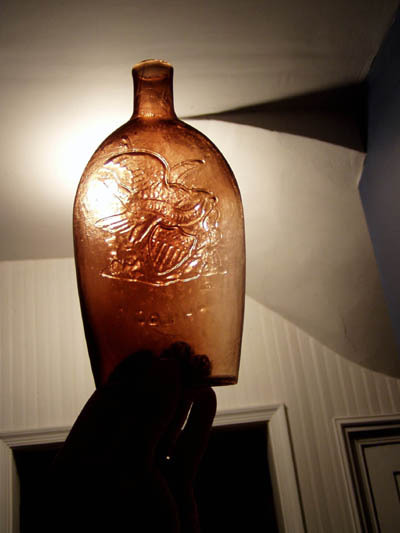 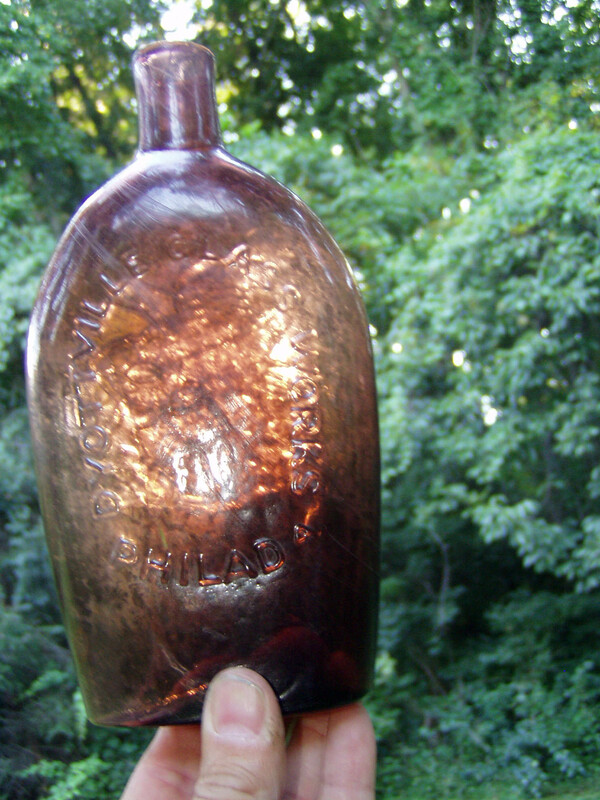 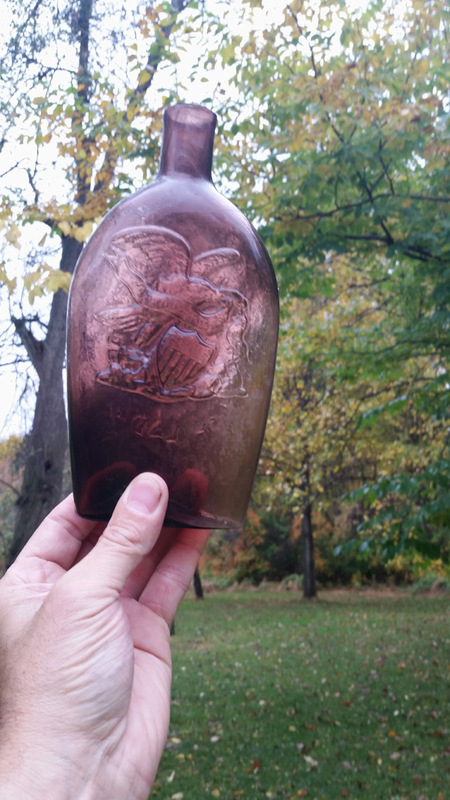 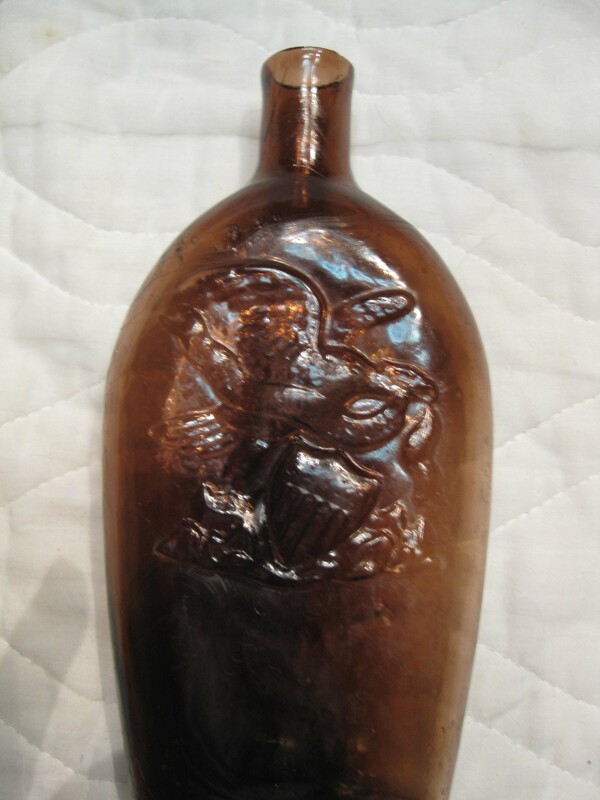 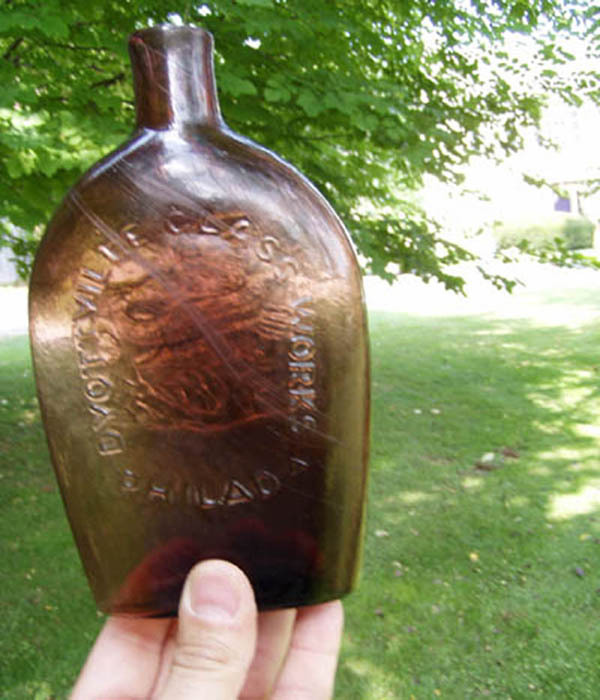 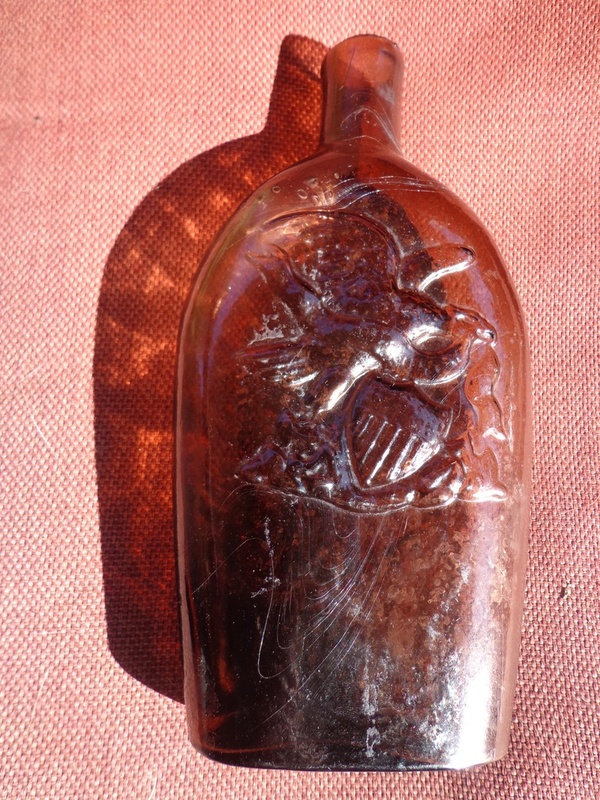 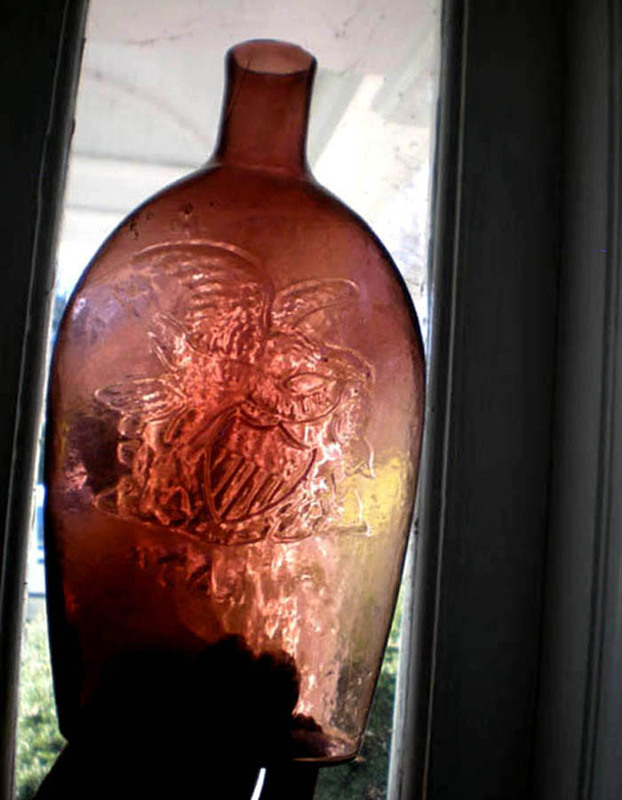 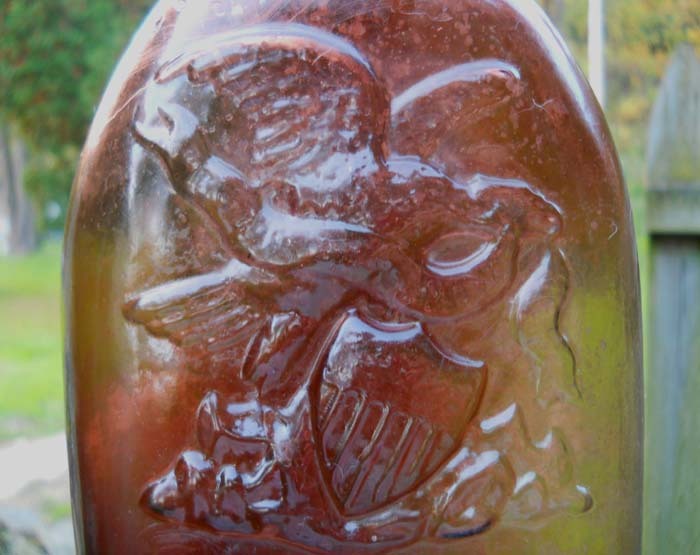 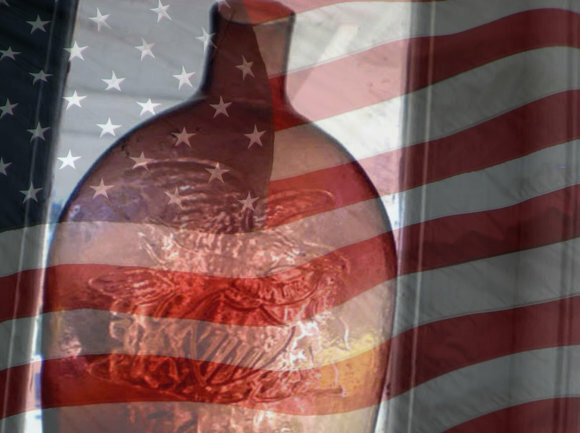 I have taken countless pictures of my "Doyttville G11-38 puce eagle flask since I first dug it many years ago. 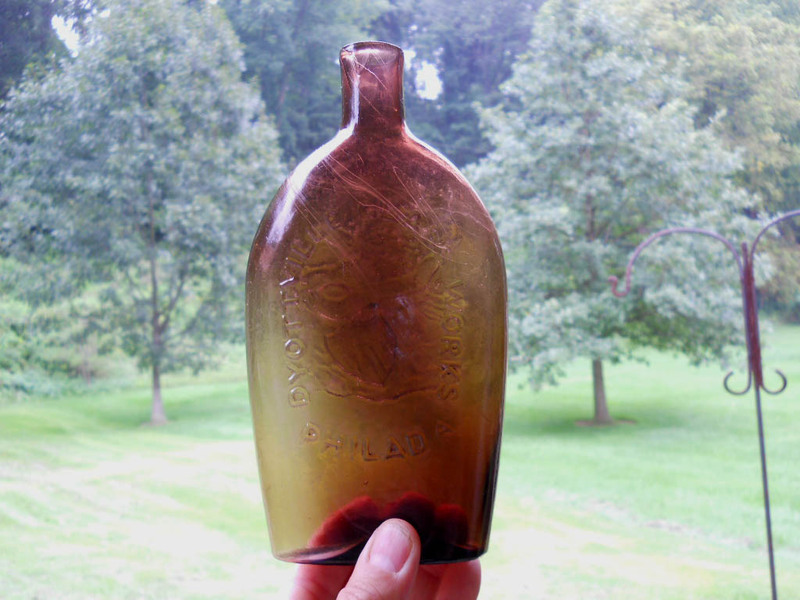 The color looks different in all kinds of light.I decided to dedicate a page to the best bottle I have ever dug and probably ever will dig. 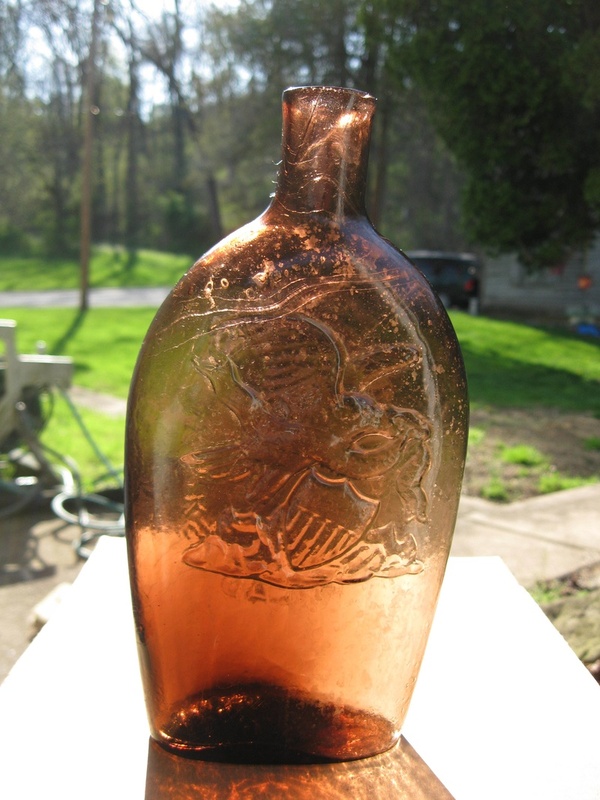 Anything can happen,but I doubt I will ever dig another bottle like this in my lifetime. 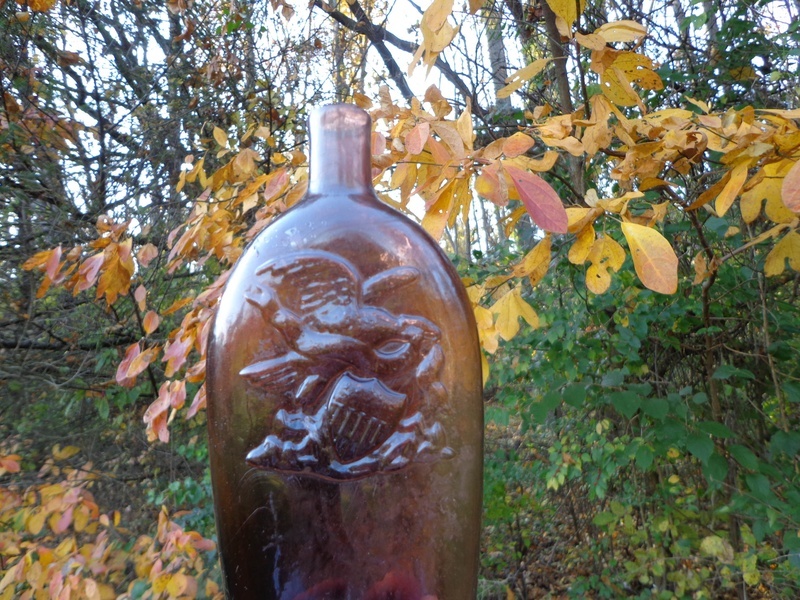 I will continue to take photos until the bottle is sold, so I might as well record some of them. 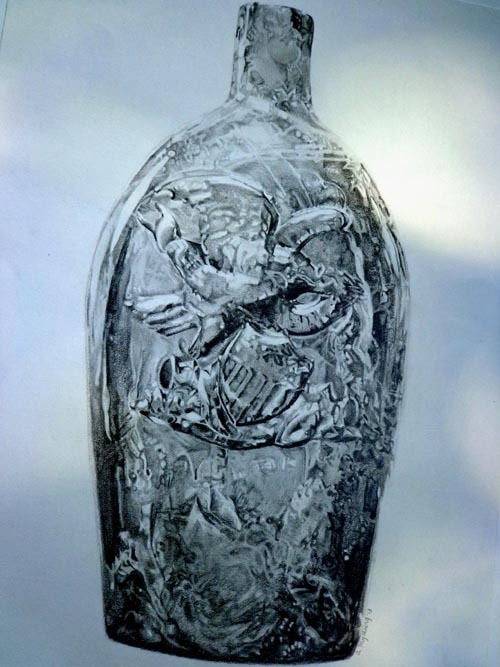 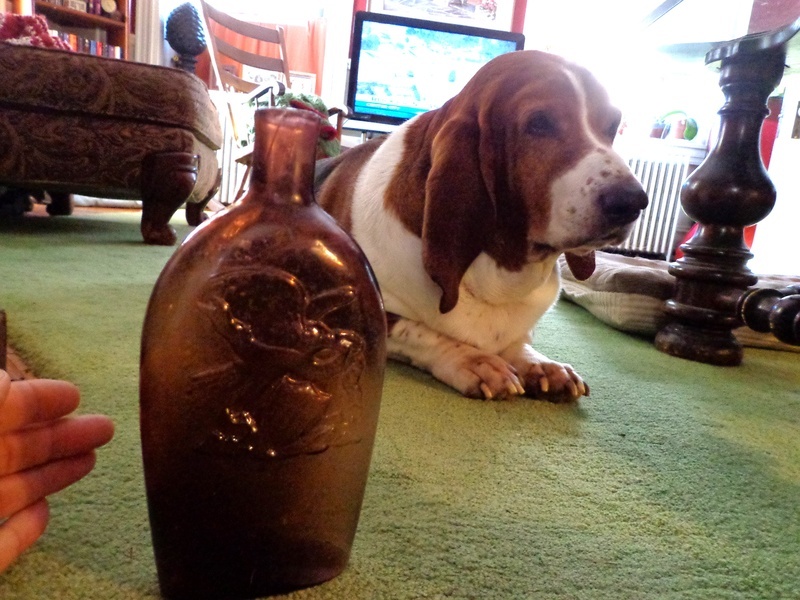 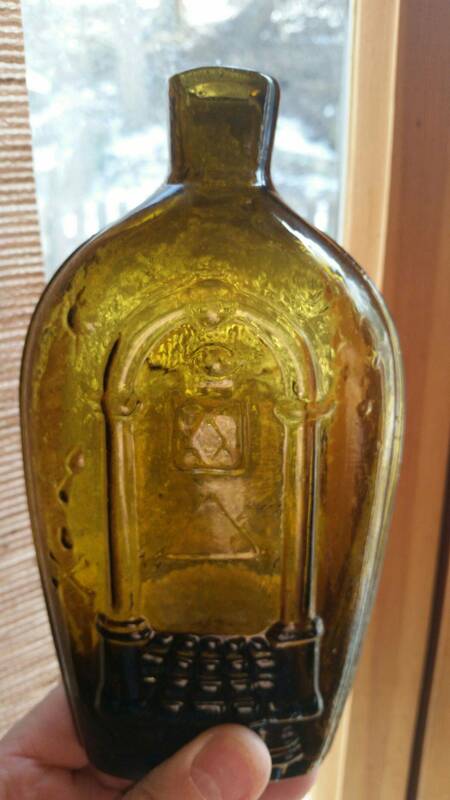 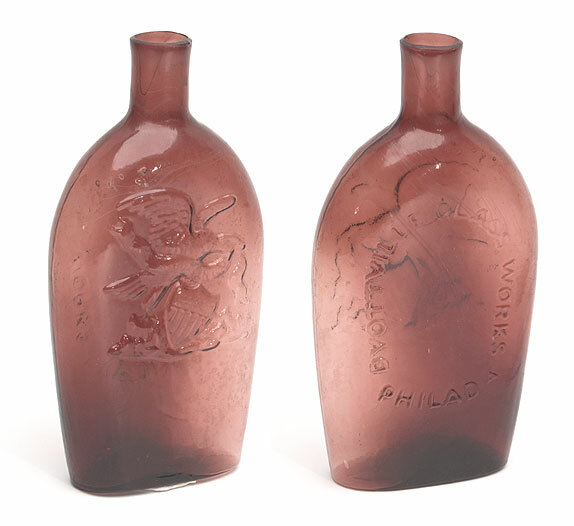 When it is gone, all I will have are these pictures and the memories of digging this great bottle. 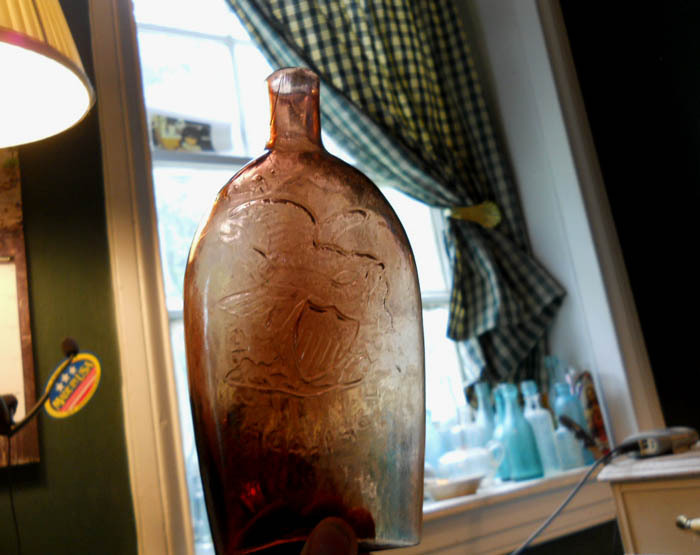 Fresh out of the ground!